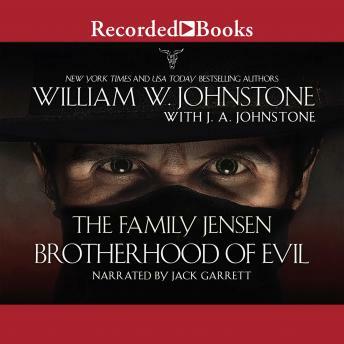 The Greatest Western Writer Of The 21st Century In one of the most shocking chapters in the Jensen family saga, America's fearless frontier clan is about to take on an enemy as cold and relentless as evil itself--a mad, sadistic surgeon skilled with knives and his gang. They're gunning for the Jensen Sugarloaf ranch to ravage Jensen women, and spill an ocean of Jensen blood. . . When the Jensen boys decide to take a trip to Smoke Jensen's ranch--leaving Sally, Pearle, and Cal alone at the Sugarloaf--the family homestead becomes an easy target for enemies, outlaws, and one hell of a hardcase named Jonas Trask. A former army doctor with a degree in cruelty, Trask and his vicious band of followers descend on the nearby town of Big Rock with a vengeance. First, he takes out the sheriff. Then, he kidnaps Sally Jensen. Now, he waits for the Jensen boys to return, like lambs to the slaughter. It doesn't take long for Matt, Preacher, and Smoke to see that they're up against a vicious maniac. What they can't figure out is why this mad doctor Trask is doing this--or how they're going to stop him. One thing is sure: the brothers will perform the operation with surgical precision, blazing guns, and not a shred of mercy. . .